I love disaster movies. Even (especially?) the bad ones. Destruction on a massive scale makes superb viewing , especially when it is well known landmarks being torn down to rubble. San Andreas was made for me. Or was it? Dwayne ‘The Rock’ Johnson once again stars as an all American national hero, Ray Gains. Ray is just as typecast as Dwayne, an ex-military helicopter rescue pilot now working as an LA Fire Department rescue helicopter pilot. After a car forward rolls down a cliff so perfectly that it would receive a full set of 10s at the Olympics, its young driver is miraculously saved when Ray performs some seriously unbelievable helicopter manoeuvres. We then find out that he is estranged from an ex-wife and daughter Blake, due to his inability to deal with the death of his other daughter in a rafting accident. So when quakes start occurring all across the the San Andreas Fault, his mission is to ensure that he doesn’t lose Blake. It doesn’t take long for the ex-wife to ditch her current fiance and join Ray on a ludicrous helicopter, car, plane and boat trip from LA to San Fransisco. There are some truly excruciating performances in the film, particularly from Hugo Johnstone-Burt, who overplays his English accent to such an extent that I was left wanting to shoot him in the head with his double barrel surname! 2012 (the 2009 movie starring John Cusack) is a great example of how to make a terrible disaster movie that ticks all the right boxes. It has a similarly crazy story about the end of the world, but it keeps its depiction of mass destruction in scale. 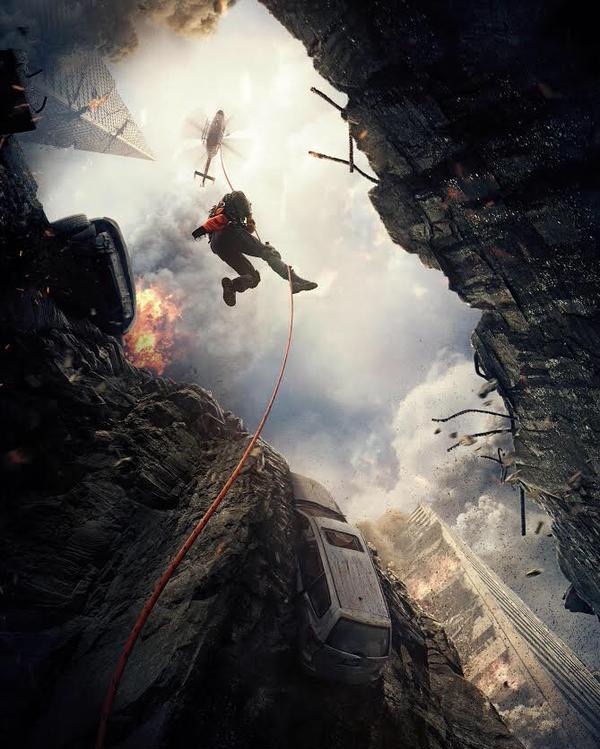 The biggest problem with the modern disaster movie is that everything has to bigger to keep peoples interest. I recently watched Jurassic World, which proved a case of life imitating art with its Indominus Rex being created “bigger, louder, (with) more teeth” to counter the growing consumer apathy. Jurassic World director Colin Treverrow and San Andreas director Brad Payton both took exactly the same route and made their special effects “bigger, louder, (with) more teeth”. We are no longer content seeing the Whitehouse blown up (Independence Day), it now has to be a 100 story skyscraper, we are not content with a tractor and a cow being thrown across the screen (Twister), we now have to see a whole city or Island destroyed. But the effects aren’t quite up to the task, so we are left watching scenes more like a video game than a movie. I love disaster movies. Even the bad ones. But it doesn’t mean that I would recommend them to others. 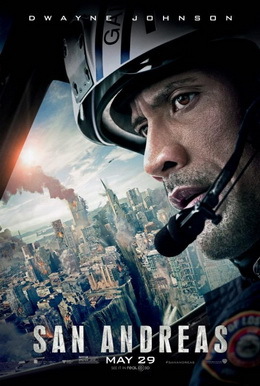 San Andreas is a neither a great disaster movie or a terrible disaster of a movie. Turn your brain off for a couple of hours and enjoy the ride.